Anand Thakker (anand@developmentseed.org) . Terminator I'm not an expert at ML (and, frankly, I'm also quite new to the OSM world)... but I think ML's really fascinating, and I think there's real promise in using it with OSM data. 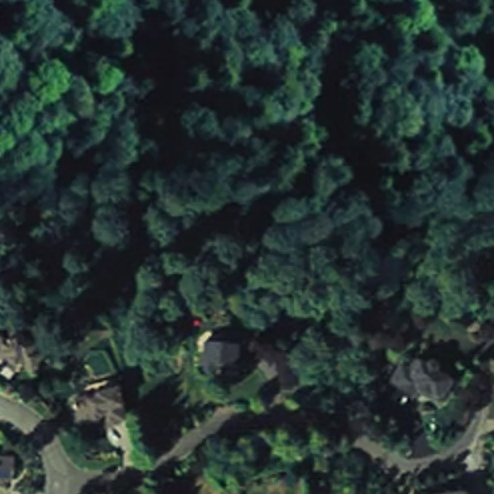 - (a) Why I think ML+OSM is a good idea. - (b) The experiments I've been working on: what I've tried, what's failed, what's worked. - (c) How you can replicate and extend it. 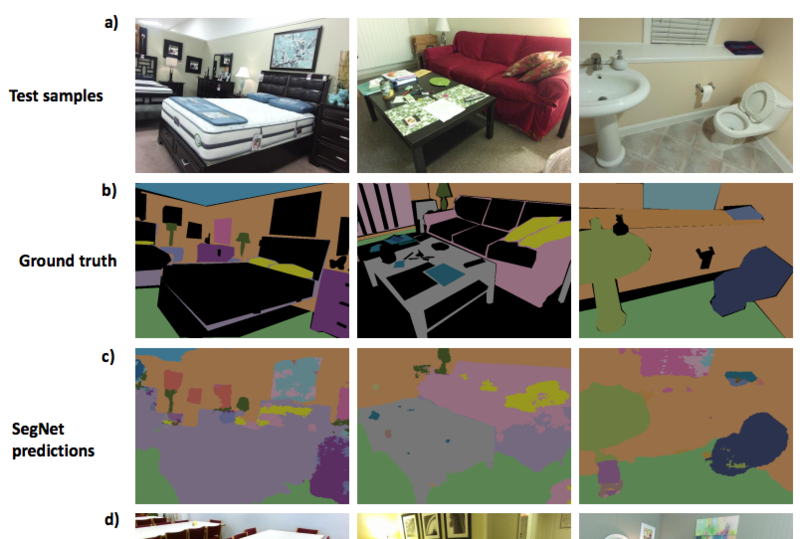 Image classification, feature extraction, etc. are hard problems, and certain ML algorithms seem to ♥ them. Mnih and Hinton, 2010 Hard problem From my admittedly amateur research, I haven't found reason to believe that this has changed much in the past 5-6 years. 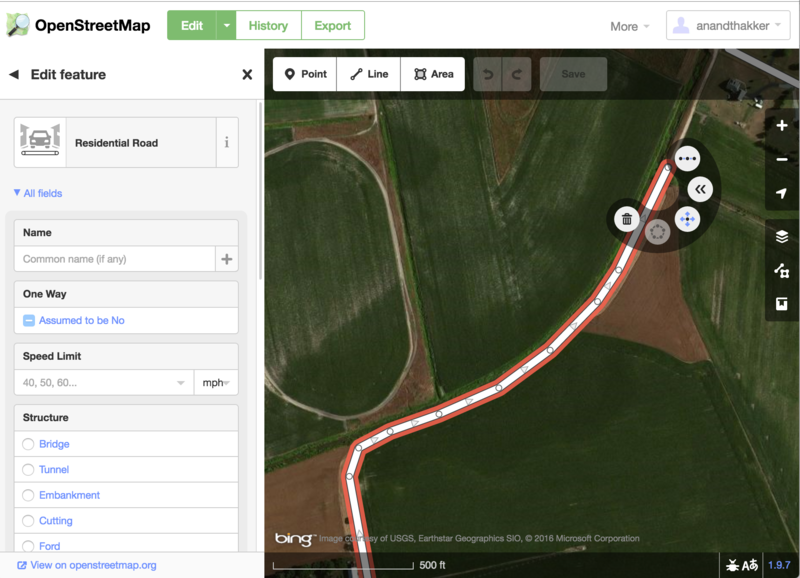 OSM + satellite imagery is a great fit for machine learning. To say why, I'll give a quick explanation of what ML is for those unfamiliar with it. 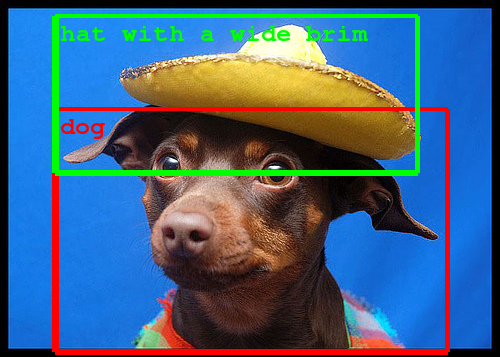 Once you have those, the big picture idea for ML training is really very simple: you take your model, which starts out completely wrong and random. You apply it to the inputs in your training data to get its "predicted" output, and then compare that to the "known" / "expected" / "ground truth" outputs. Based on the error, tweak the model's parameters to make it better -- e.g., if the outputs were too big, tweak the model to produce smaller numbers. Now repeat... a LOT. Now, the details -- especially in calculating error and then tweaking model parameters -- that is some subtle stuff which depends quite a bit on the inner workings of the models you're using; but, fortunately, that complexity is mostly taken care of by ML tools and libraries. Anyway, the real magic here is that if things go well, then after you've trained the model, it will *generalize* beyond the training data, producing (mostly) correct answers for inputs that *weren't* in your training data. 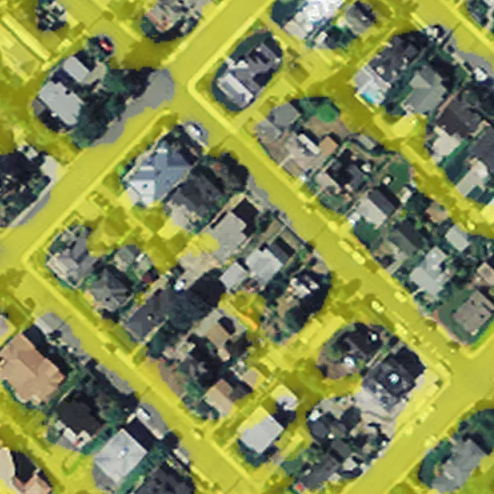 imagery (input) + OSM (ground truth) = amazing training data In general, one of the biggest challenges in machine learning is getting good training data, and this is what I mean about imagery + OSM being a great fit for machine learning: it represents an amazing source of training data. Okay, so that's the why. Now before I dive into the experiments I've been working on, I just want to mention some similar work that others have been doing. 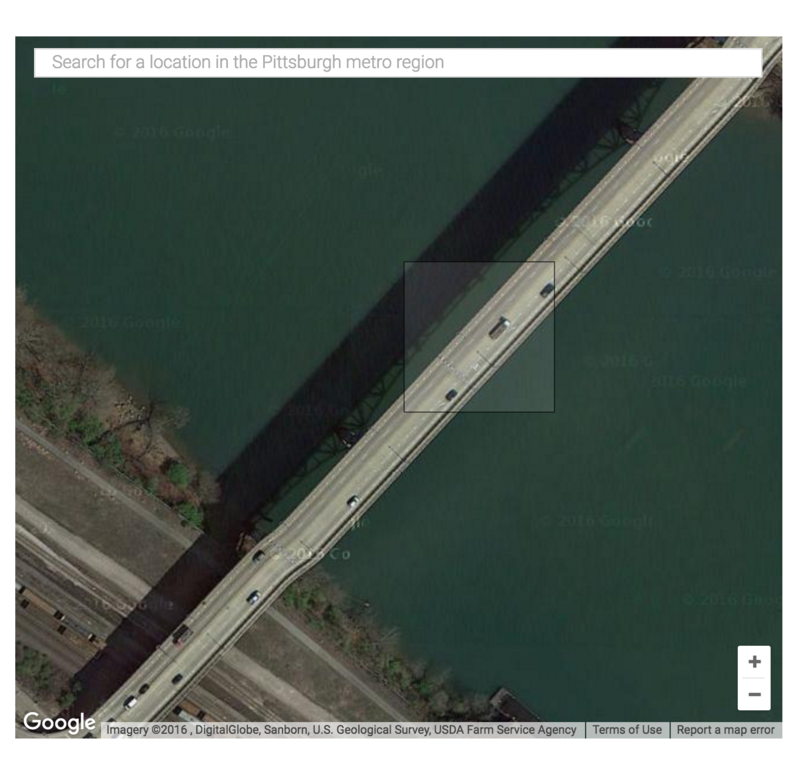 Skynet Experiments Big goal is automatic feature extraction, and, in particular, extracting road geometries from satellite imagery. Here's what the training data looks like. 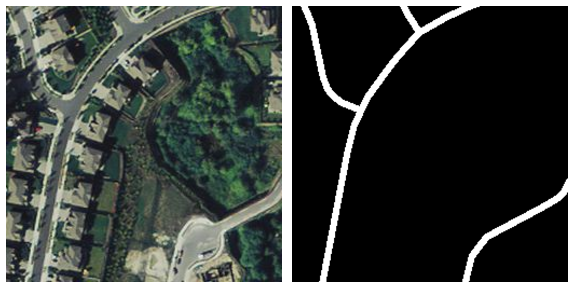 Left is the input image; right is the "ground truth" rendered from OSM. 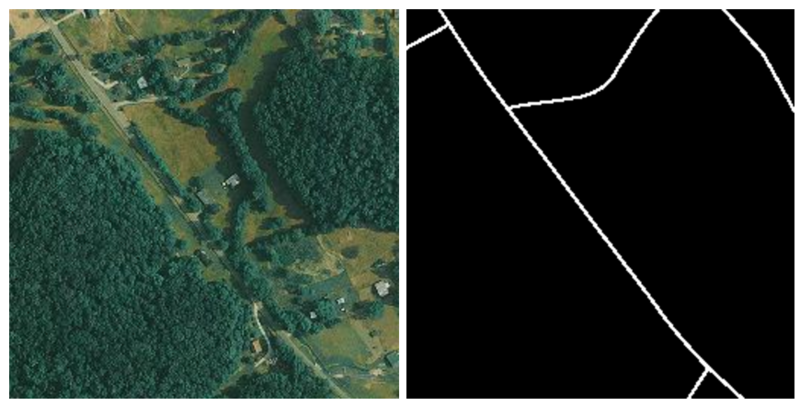 But, this is also an example of one of my first mistakes: I rendered the roads here at a width of 1 pixel; when I used this for training, I found that the network just couldn't learn from it. ([tunnel] = 'yes' or [tunnel]='true')"
But this is pretty easy to fix with the skynet-data scripts. They use a small JSON description for each different "class" that we want the network to identify; all I had to do was bump the stroke width from 1 to 5 and re-render. You can also see here how the filter that's being used to pull out the right features for each category. We're back to really fuzzy, indistinct predictions, even from the "older", more trained model. 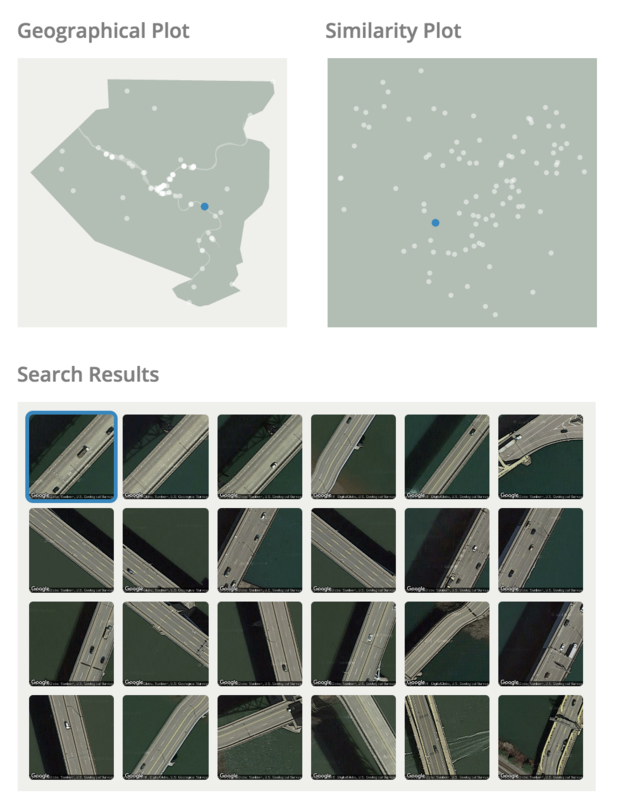 So, early last week, I put together a set of training data using tiles only from Seattle and started training a model that, hopefully, would do better at detecting streets in cases like this. Here's how the model did. One common point of failure that I noticed here was that parking lots like this one tend to confuse the model. 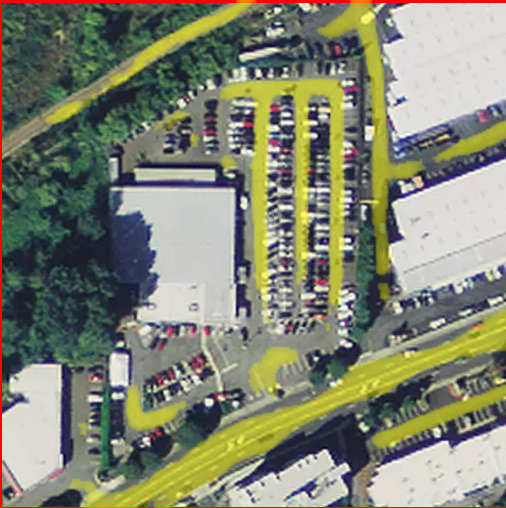 I think that retraining with a separate label for parking lots might be very helpful, but I haven't investigated whether we've got good, tagged polygons for parking lots in OSM. 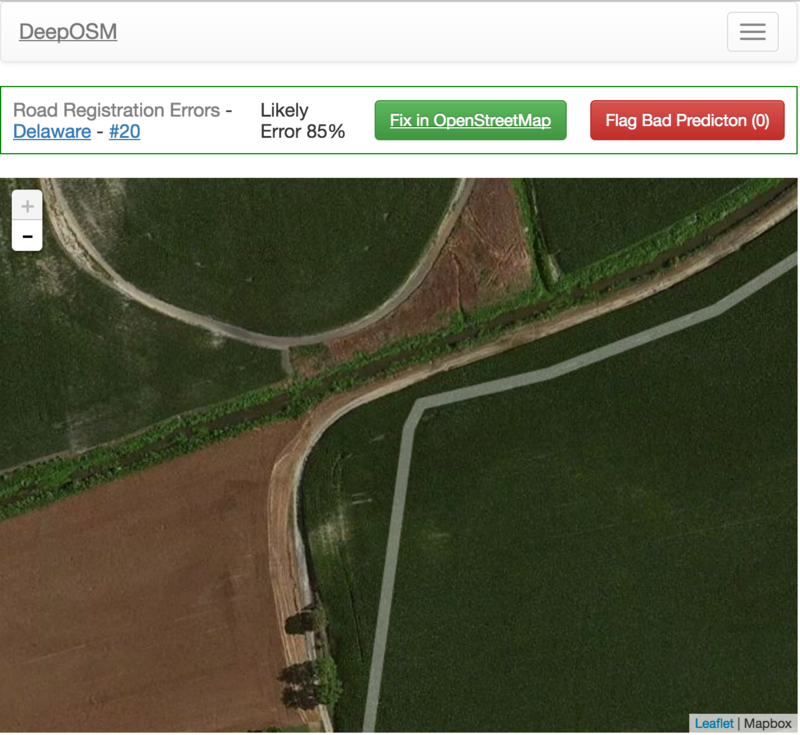 ...where the model finds roads that are not in OSM, and gets a worse accuracy score for it. 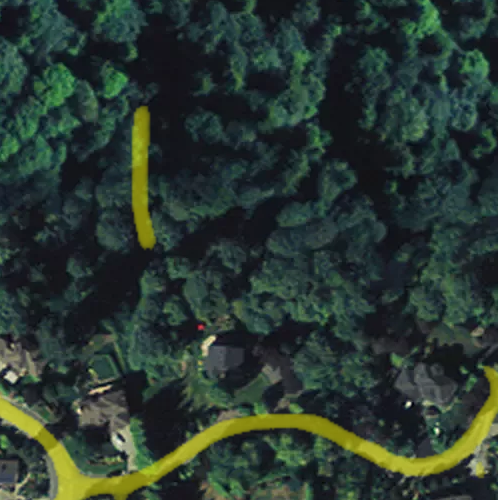 This is one of the challenges of using OSM data for ground truth: it's quite hard to assess accuracy. How much can we improve the model's ability to generalize? Do we really a model as large/complex as SegNet? Integrate with... MapSwipe, iD, ...?